Doran 8050XL Washdown 50 lb. Scale 10"x10"Doran stainless steel washdown safe scales with 10" x 10" weighing platform are available to agriculture centers, fish and poultry plants etc... 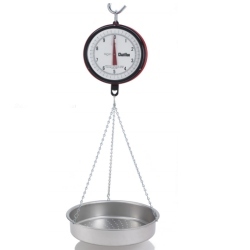 Constructed of 304 Stainless Steel, this scale is built to withstand wet environments. The scale is factory calibrated with 50 lb. capacity and has AC w/ internal rechargeable battery. Doran 8025XL Wash Down Scale 25 lb.Doran stainless steel 8025XL washdown safe scales with 10" x 10" weighing platform are available to agriculture centers, fish and poultry plants etc... 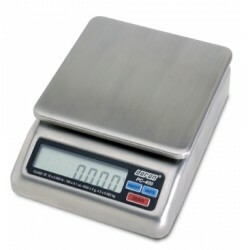 Constructed of 304 Stainless Steel, this scale is built to withstand wet environments. The scale is factory calibrated with 25 lb. capacity and has AC w/ internal rechargeable battery. Doran 8010XL Wash Down Scale 10 lb.Doran stainless steel 8010XL washdown safe scales with 10" x 10" weighing platform are available to agriculture centers, fish and poultry plants etc... Constructed of 304 Stainless Steel, this scale is built to withstand wet environments. The scale is factory calibrated with 10 lb. capacity and has AC w/ internal rechargeable battery. This model does not display lbs:oz. Doran 8005XL Wash Down Scale 5 lb.Doran stainless steel 5 lb. washdown safe scales with 10" x 10" weighing platform are available to agriculture centers, fish and poultry plants etc... 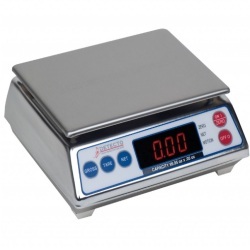 Constructed of 304 Stainless Steel, this scale is built to withstand wet environments. The scale is factory calibrated and has your AC w/ internal rechargeable battery. Chatillon Legal for Trade Hanging Scale Scoop 20 lb.The CHATILLON® 0720-T-CG NTEP class III legal for trade 20 lb. 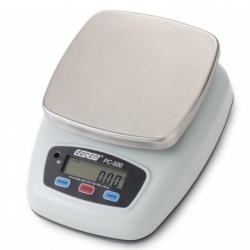 hanging scales with scoop are designed for long-lasting reliability at an affordable price. Century scales feature a steel inner frame and tough, corrosion-resistant band, bezel and ABS housing. Glass-covered 7-inch dials come in single (reads clockwise). Chatillon Commercial Hanging Scales Pan 40 lb.The CHATILLON® Century Series NTEP class III 40 lb. legal for trade hanging scales with CAS pan are designed for long-lasting reliability at an affordable price. Century scales feature a steel inner frame and tough, corrosion-resistant band, bezel and ABS housing. Glass-covered 7-inch dials come in single (reads clockwise) models. H44 Class III "Legal For Trade" models are sealed for local jurisdiction for point of sale use. Chatillon Legal for Trade Hanging Scale Scoop 40 lb.The CHATILLON® Century Series NTEP class III legal for trade 40 lb. 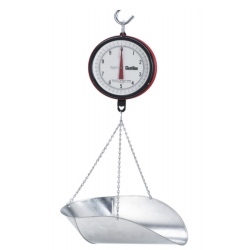 hanging scales are designed for long-lasting reliability at an affordable price. Century scales feature a steel inner frame and tough, corrosion-resistant band, bezel and ABS housing. Glass-covered 7-inch dials come in single (reads clockwise) models. H44 Class III "Legal For Trade" models are sealed for local jurisdiction for point of sale use. 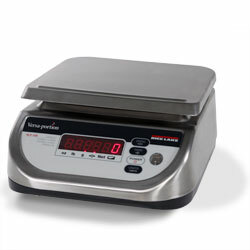 Chatillon Legal for Trade Produce Scale Pan 20 lb.The CHATILLON® Century Series NTEP class III legal for trade 20 lb. 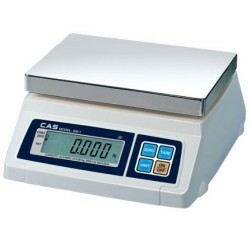 hanging scales with CAS pan are designed for long-lasting reliability at an affordable price. Century scales feature a steel inner frame and tough, corrosion-resistant band, bezel and ABS housing. Glass-covered 7-inch dials come in single (reads clockwise) models. H44 Class III "Legal For Trade" models are sealed for local jurisdiction for point of sale use. Doran PC-500 Wash Down Scale 25 lb.Doran PC-500 is IP66 washdown safe rugged digital scale with 25 pound maximum weigh capacity. The innovative NTEP approved PC500-25 delivers a scale that tackles harsh environments of Washdown, Food service, and Industrial applications. Long battery life and a sleek, low profile design makes the PC-500 a perfect solution for your weighing needs. Doran PC-500 Wash Down Scale 5 lbDoran PC500-05, an IP66 washdown safe and rugged digital scale is the result of more than 30 years of design experience. The NTEP approved 5 lb. max capacity PC-500 delivers a scale that tackles harsh environments of Washdown, Food service, and Industrial applications. 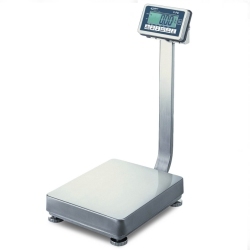 Long battery life and a sleek, low profile design makes the PC-500 a perfect solution for your weighing needs. Ishida iPC Single Display 6 lb.6 lb. capacity. Single display. You can search all over the globe before finding a scale with all these features. Offering a sleek design, simple operation, and pinpoint accuracy, the iPC delivers convenient 4-button operation and optional dual displays. These features simplify processes for users and offer highly visible weight read-outs for customers. Perfect wherever quick, accurate weighments are needed, the iPC excels in applications such as bakeries, restaurants and mailrooms. 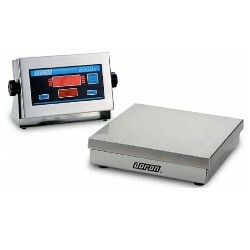 Ishida iPC Single Display Scale 100 oz.100 oz capacity. Single display. You can search all over the globe before finding a scale with all these features. Offering a sleek design, simple operation, and pinpoint accuracy, the iPC delivers convenient 4-button operation. These features simplify processes for users and offer highly visible weight read-outs for customers. Perfect wherever quick, accurate weighments are needed, the iPC excels in applications such as bakeries, restaurants and mailrooms. This model only displays ounces, no other units of measure. Doran PC400-20 Portion Control ScaleThe Doran PC-400 includes field proven rugged "Quad Spring" base design that virtually eliminates damage from shock and overload. AC/DC - The choice is yours - use the AC plug-in power adapter, or the included internal rechargeable battery for portability. EASY TO CLEAN - The case and removable platter are constructed of food grade 304 Stainless Steel. Wipe down safe, do not spray or immerse. CAPACITY: 20 lbs NTEP Legal for Trade. 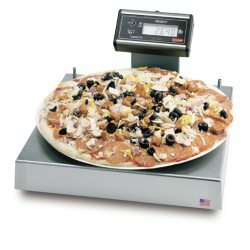 Salter Brecknell 6115-15 240OZ 16"TPE RFB B23Pizza Scale from Brecknell Scales. Touchless Zero with Pan Stop and Rear Flat Display Bracket; (240 oz x 0.1 oz) Item 9504-16914. Please compare each of our 6115 scales to make sure you order the version you need. 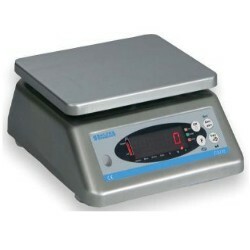 Rice Lake Versa-Portion Scale RLP-60S 60 lbScale, RLP-60S 60 x 0.02 lb Versa-portion, 110-230 Auto-ranging Power Supply, US power cord. Rice Lake Versa-portion is a compact and sturdy food scale for the tightest corners and cramped countertops while still leaving plenty of work space. With an IP68 rating, splashes and spills are no problem. A removable stainless cover lets you easily wipe down the all-stainless exterior for a clean, sanitary surface. 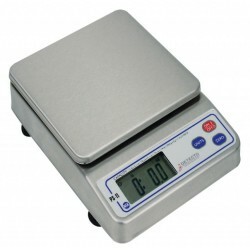 Digital scales are used in many applications involving food and restaurants. 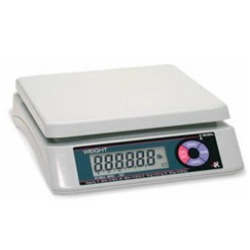 For years we've been providing our customers with durable commercial quality food scales with or without printer. You can find items like professional bakery scales, digital commercial kitchen scale, quality bench scales, industrial quality food scale, hanging scales, ingredient scales, portion scales, pricing scales, top loading dial scales and much more. 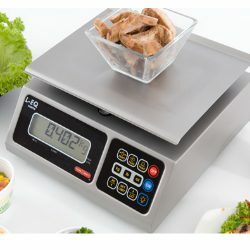 One of the selling features we like to mention to our customers is that we have lots of experience recommending restaurant quality digital food scales and we are not under contract to only sell one brand of scale. This means we can recommend the right scale for your specific needs and not just try to push a certain brand to you. So if whether you're a small family owned bakery or a large food manufacturing facility, we can provide you with quality weighing components. Contact us today and let us know what your requirements are and what ingredients you're looking to measure.